Switching to evergreen is super easy… right? 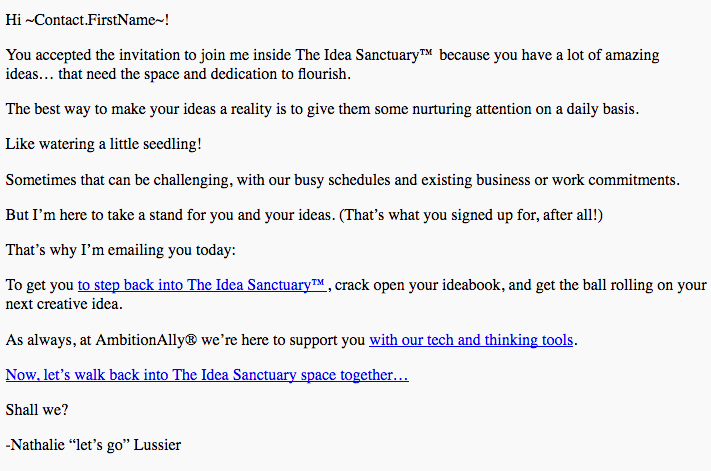 See, it’s not as straightforward as creating an email funnel and installing a scarcity plugin. With an evergreen course, your students are destined to fail. Approximately 15% of students in massive open online courses cross the finish line. So, they end up asking for a refund because they didn’t get value from your course. “The benefit of such high completion rates is that our students get better outcomes, a deeper understanding of the subject and a new skill set to apply. As a business, this has helped us keep our cost per acquisition relatively low because the positive word-of-mouth about our courses brings in new students. With an online course, you want sky-high completion rates. Engagement is a strong indicator of a student’s engagement in a course. Meaning they find your course informative and – just as importantly from a business perspective – are positioned to be a repeat buyer. 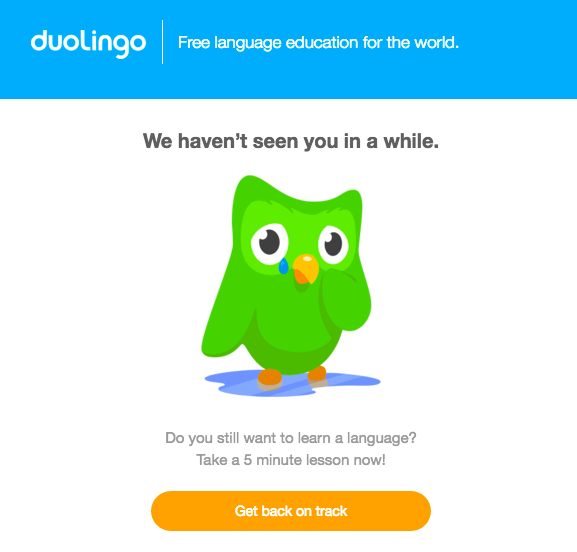 Let’s back up a sec: What about customers already paying $500 or more for your online course? Won’t they complete it because they spent so much on it? You’d think the stats would be better – as what we pay more for, we value higher – and you’re right. Teachable’s 2017 study found that completion rates were 61% higher for courses priced above $200 vs those below $50. But raising your online course’s price won’t increase your completion rate. That problem’s root lies deeper than a quick surface fix. I found that out the hard way when I switched my $750 live course into an evergreen course. Ten years ago, long before I started AmbitionAlly, I launched “Cure Cravings Forever,” my very first online course. It was – what I call – my “training business” in the health space. After a failed launch attempt, I decided that I would create all of the course materials live after I sold the program. Each week’s lesson would be a live presentation, allowing time for me to answer questions at the end. See, I was hedging my bets, just in case no one bought which didn’t happen as 30 students enrolled. This approach ended up being a blessing. Refunds were non-existent. I got to know each of my students, and the results they got were mind-blowing. All the needed ingredients for a killer online course. A little bit after launch, I turned this course into an evergreen one with ongoing open enrollment. Suddenly, my refund rates went from 0.3% to a sickening 7.73%, and my once-stellar completion rate of approximately 60% plummeted. My business was bleeding money. How could I offer high-touch evergreen training – without burning myself out – and slash my refund rate in half? Ten years ago, if you wanted to personalize your students’ experience, you needed custom coding and prayers to the plugin gods that nothing would break on your next WordPress update. That approach didn’t cut it for me. So I decided to dust off my Software Engineering degree and enlist my developer husband’s help to make a solution for my students to succeed. 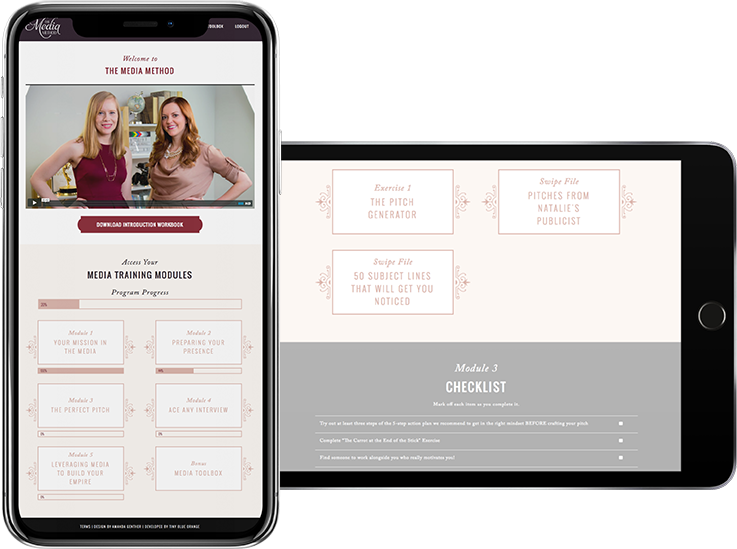 We created the AccessAlly course marketing automation companion for WordPress, which now hosts thousands of happy clients’ courses. This list served as my starting point to work seven strategies into my courses and ongoing membership program. The goal: to increase engagement and cut my once-super-high 7.73% refund rate down to 3.6%. Here’s exactly how I tackled all seven of those points. You should grab at least two ideas from this list and use them in your evergreen course strategy. 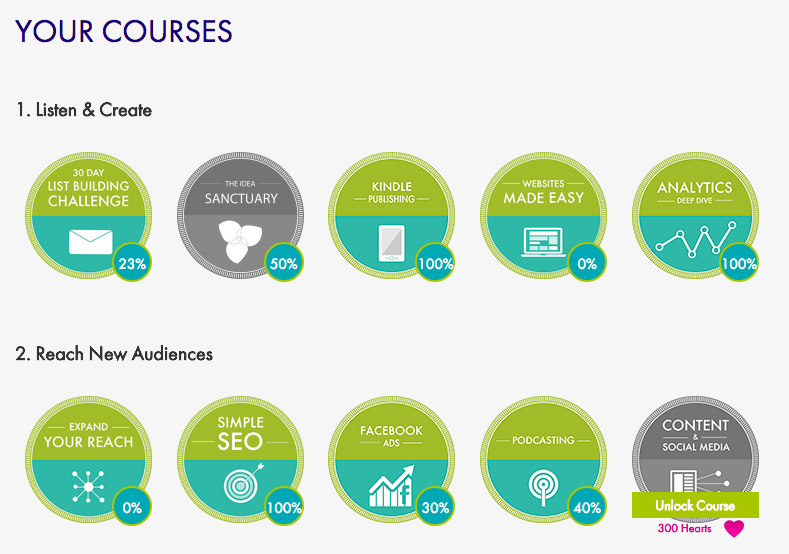 Did you know the people who buy courses are more likely to sign up for a free course first? That’s what I learned when I created a free course about email list building, called The 30 Day List Building Challenge. In the past 4 years, there have been 56,938 sign-ups to this course. The course starts on the day you enroll and runs for 30 days. Side note: If I could do it again, I would have shortened 30 days down to maybe 10 days. Shorter would have been better for results and conversions! Many people lose steam around Day 12, but plenty have seen results by that point. Or they decide to do the challenge again later. Your conversions range from 1% to 10% of free members becoming paid customers, based on data across the SaaS space for freemium conversions. Our average course conversion rate of 4.5% from free to paid members bears this out. 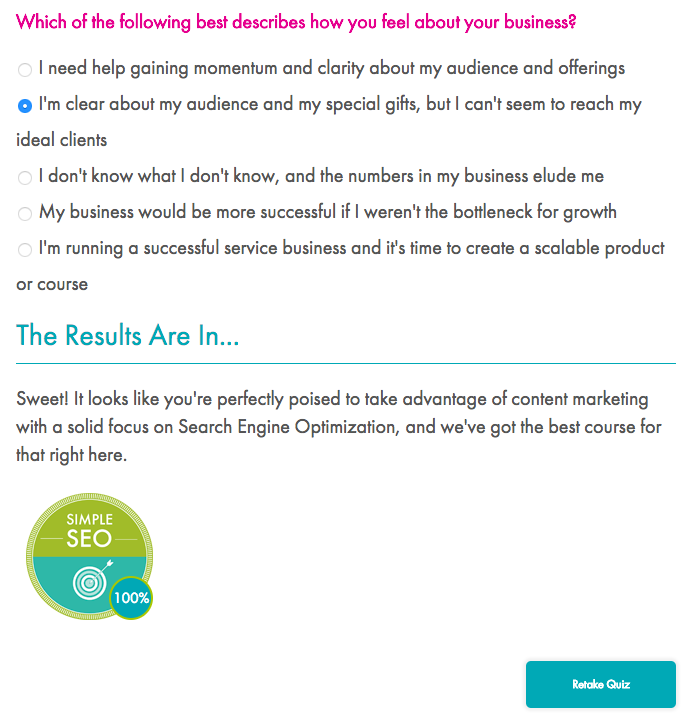 So, how can you increase that 4.5% conversion rate? By using The Login Optin Strategy. When a participant logs into the membership site to access the free course, they see all of the paid courses available for purchase, too. This view acts as a cross-selling dashboard. Think of it as a non-smarmy way of selling paid courses to people who enjoy courses! I apply this strategy with my own courses. When I moved to the following member dashboard design, I saw an increase in sales of our paid courses. From our paid 30 Day List Building Challenge, we saw a direct 4.5% conversion to a low-cost paid program. Overall, 5.6% of people who signed up for our free course purchased a paid program of some type, including our software tools. As I created new courses that my audience wanted, it was harder for students to decide which course was right for them. So I created a quick assessment quiz that guides students towards a specific course or module based on their business’s needs. 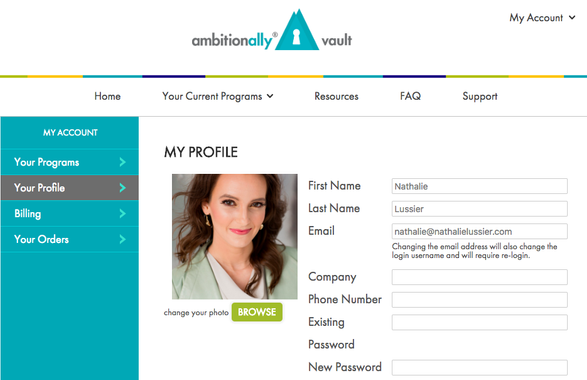 Using this approach has another benefit: Selling to logged-in or paying members. According to Marketing Metrics, the probability of selling to a new prospect is 5-20%. The probability of selling to an existing customer is 60-70%. You do the math! One key thing to note: I made this free quiz so anyone could take it, regardless if they were a student of our free or paid courses. After the assessment gave their results (AKA next steps), the applicable course was available for purchase. For courses, measuring improves at least these two things: 1) the course itself, and 2) the ability of your student to complete the course. Show your student how far they’ve come and lead them to the next step to continue their journey. See, you’re almost 3/4th of the way through this course. Well done, you! With a live course, you see how participants are doing… whether they’re engaged and asking questions on live Q&A sessions… or not. But once you switch a course to an evergreen model, it becomes really difficult to see where students are getting stuck or dropping off… and how to keep them engaged. The reality is that you don’t get help when you’re not being engaged with directly. You just give up and throw the towel in. When my course went evergreen, I had more refunds and dissatisfied customers. So, I set up a series of progress tracking via checklists and videos to see at a glance how each participant was doing. Using this data, you’ll spot super active members (and identify trends in what pages are getting the most views!). Plus, you’ll also pinpoint students who never logged in. Check out this member’s “footprint” as they traverse the members’ area. Oooh, look – there’s a big gap between the last two dates. Wonder if they got stuck at a specific point. The biggest thing for me – beyond the visibility I got about my students’ progress – was the added motivation that came for participants themselves. It turns out that when you feel like you’ve already made strides, you’re more likely to keep going. This motivational technique taps into completion bias: we like to finish what we start. When we feel like we’re making progress, we get motivated. See your progress within each module. In the left screenshot (below), see the progress bars in the module dashboard, showing you how much of the course you’ve completed. In the right screenshot, you feel awesome as you check off completed tasks for each module. Feelin’ good about my progress! In fact, finishing small tasks (or clicking on a checkbox!) releases dopamine, making it easier to tackle bigger tasks. According to a study shared in Harvard Business Review, people who completed small tasks and checked them off also had a higher degree of satisfaction. Higher satisfaction is definitely what we’re going for in our evergreen courses! So we have lower refund rates and better results to attract future students. Thanks to this data, I built in more follow-up in the early stages of my evergreen courses, which leads us right into strategy #4. When you automatically follow-up with participants who aren’t as engaged, you reduce refunds and help your students accomplish your course’s promised outcome. Because let’s face it: if a student never logs in or drops off after the first lesson, they’re not getting their money’s worth. Maybe that doesn’t feel like a problem. After all, they bought – they supported your business, and now you can make payroll and buy more Facebook ads. But here’s why low completion rates are a problem: Students who don’t take your course are less likely to buy more courses or refer you to their friends. According to Gallup’s research, customers who are fully engaged represent a 23% premium in terms of share of wallet, profitability, revenue and relationship growth over the average customer. Engagement is an important business metric. You’re in business for the long run. Meaning you’ll be releasing new courses and programs. You want to tap into that extra 23% revenue that engaged participants represent. If you did nothing for a year but optimize engagement, you could, theoretically, grow your business by 23%. One way to engage is by reminding students via email. Next, I put together an “automation loop” to check if a student has logged in within the last week or two. If the answer is no, then an email is sent to remind them about the course. 3 days gives them breathing room to clear deadline-projects… and get back to their coursework. With this type of email automation tied to your course progress tracking, you provide the personal touch that you had with a live offering. From an automation marketing perspective, you can use any email marketing platform (and here are top ones that work well for this). Sweet, to the point and motivating – a perfect blend. Obviously, your email won’t be hyper-personalized to your student – like mention the name of their dog or how much you liked the questions they asked – as it would be in a live course. 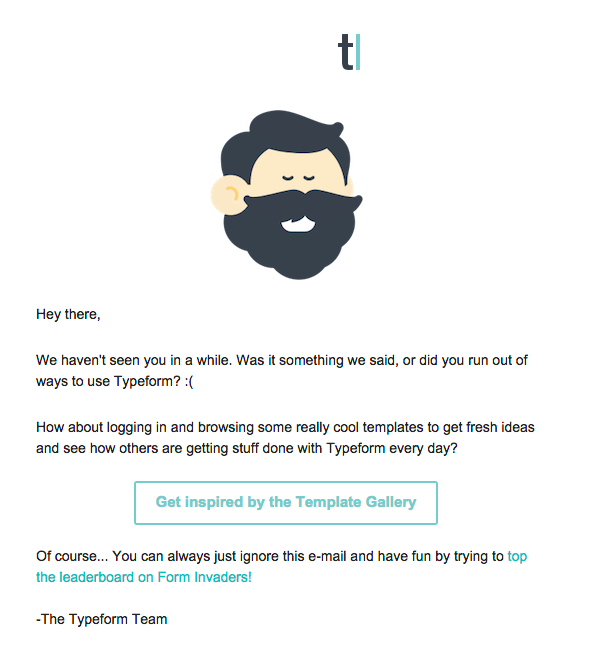 But your email might still kick-start a personal interaction, as you’ll see in strategy #6 coming up. Point systems! This reward is often what people think of when they see the word gamification. 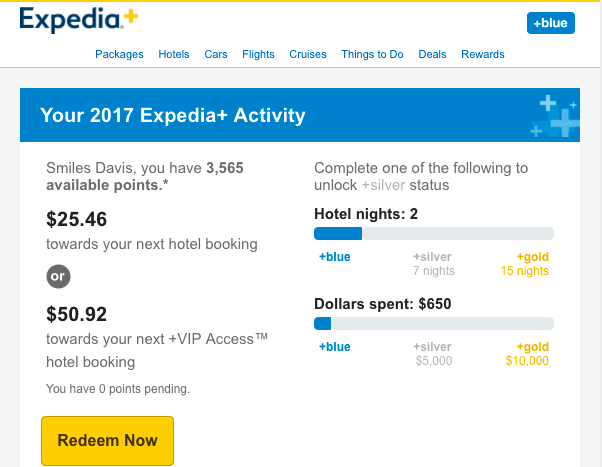 Frequent flyer miles, hotel points and even Expedia have used points in their loyalty programs for decades. Think of it as a “credit system” that acts like a bank account, where you deposit points and withdraw points based on the actions you take. 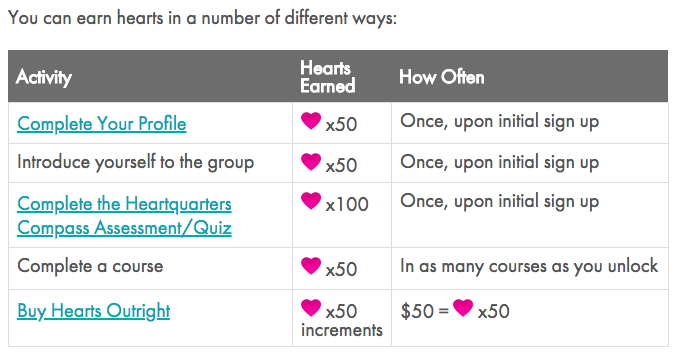 For our members’ area, we decided to call our points “hearts” and tie them to a few different perks, which we’ll get into more under strategy #7. You need to have a very clearly laid-out and transparent process for how points are earned and what they can be used for. Also, we wanted to give points early and often. If you feel like you’re gaining momentum, you’re more likely to want to keep going. This behavior ties into the idea of early wins, a motivation method discovered by the employee onboarding realm. Michael D. Watkins distilled hundreds of interviews with experienced managers into one single most important principle for onboarding success: get early wins to build momentum fast. The same applies for onboarding new course participants and customers. So we give points for filling out your profile, completing the onboarding assessment and whenever a course is completed. We also offered points for sharing on social media and awarded random prizes during a specific contest period. Reward often (and for “just because” reasons). I wanted to reward completion of courses with more content and bonuses. Specifically, I wanted to test a hunch of mine: if we gave our monthly members a set of points each month for staying on, would they be more likely to stick around? Result: Points increased user retention. These rewards also had the nice side effect of reducing the number of students who intended to blow through all of the content in the first month and cancel. Cancellations are a real problem for course creators. Case in point: over a given year, for one particular membership program we ran, we saw a 65% cancellation rate. That’s terrible. But once we implemented the credit system, we saw a huge improvement: only 38% of members canceled within the same time period. We cut cancellations nearly in half. If you’re not interested in tying points to a redemption system, you could rank members based on points in a leaderboard which can also be motivating. But if you want ideas for how students can use their points to get something valuable, keep reading. One of the biggest things I missed when I made my courses evergreen was seeing students’ work and being able to give them direct feedback. A detailed synthesis of over 7,000 studies found that the #1 most effective means of enhancing student achievement was through giving feedback via audio or video as related to goals. When course students achieve their goals – thanks to your feedback – then you’ve achieved your goal as a course creator. 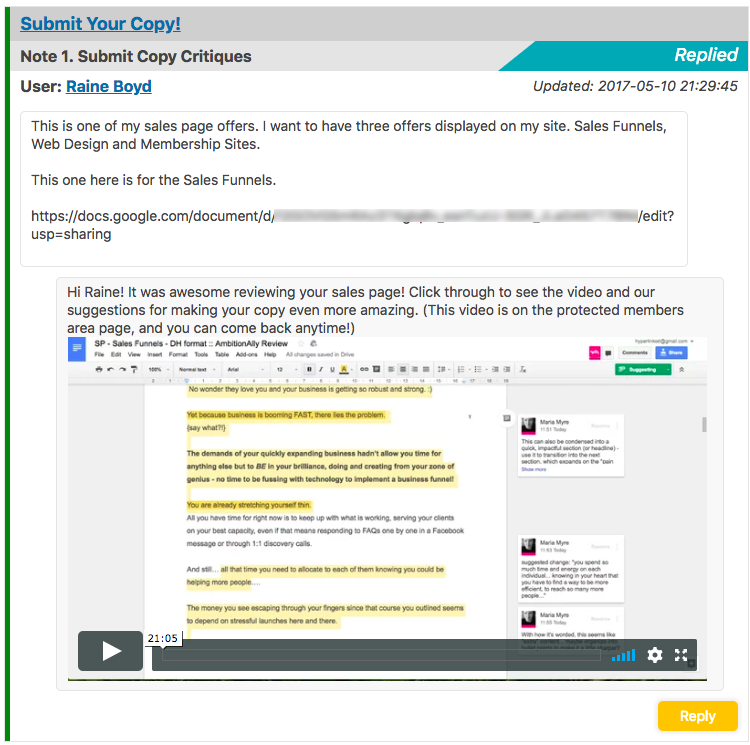 In my live courses, I often did “copy critiques” as a bonus, where each student submitted their website or content ahead of time and I gave them rapid-fire feedback on a group webinar. When I switched to evergreen courses, I was stumped on the best way to deliver feedback. Short of having regular webinars – which meant students would be waiting months to get feedback – I couldn’t come up with a good solution. If I tied points to a copy critique service, then I wouldn’t be flooded with a ton of requests and I could easily handle them every few weeks. So I turned 1-on-1 access to me – and now my team – for copy critiques into a “redeem this with your points” service. People stockpile points to turn them into private, high-value critiques with my team. In the screenshot below you’ll see how course students can ask questions. They can even attach “homework” submissions in AccessAlly. Access to this 1-on-1 copy critique costs more than a regular course in the members’ area, making the points even more valuable. We handle all of these requests automatically and receive the students’ submissions through something called Private Notes in AccessAlly. Each member can redeem their points for courses or a copy critique. 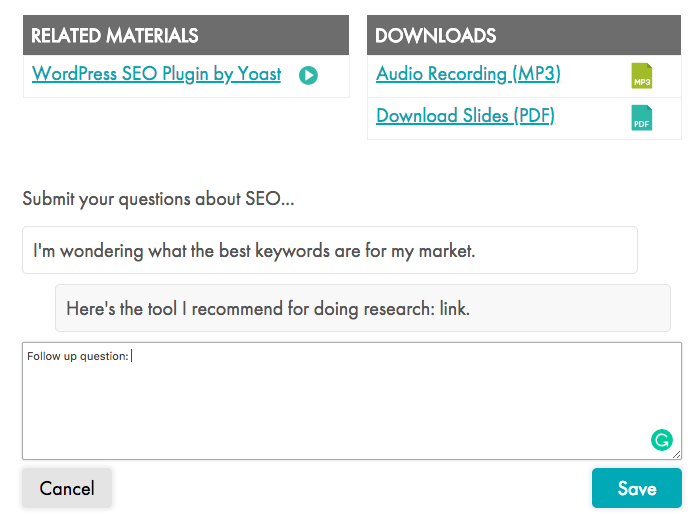 If they choose a copy critique, they upload a file or link to a website they want feedback on. I get an email and schedule some time to review. Then I’ll generally make notes and record a video for this student, which I embed in a Private Note – so only they see it on their copy critique submission page. This strategy re-connects me with my students on a much more personal level. And it provides a ton of leverage, too. The final piece of the puzzle that took the pressure off me as the evergreen course creator was adding in a member directory. But if you can give members the ability to find each other based on interests, expertise levels, location or any other criteria, it makes your course way more valuable. I realized early on that my favorite thing about taking courses was the people I met who were on a similar journey. Sure, there’s always the tried-and-true Facebook group to help meet people in a course. But what ends up happening is you only get to meet the most engaged people (and sometimes least busy). 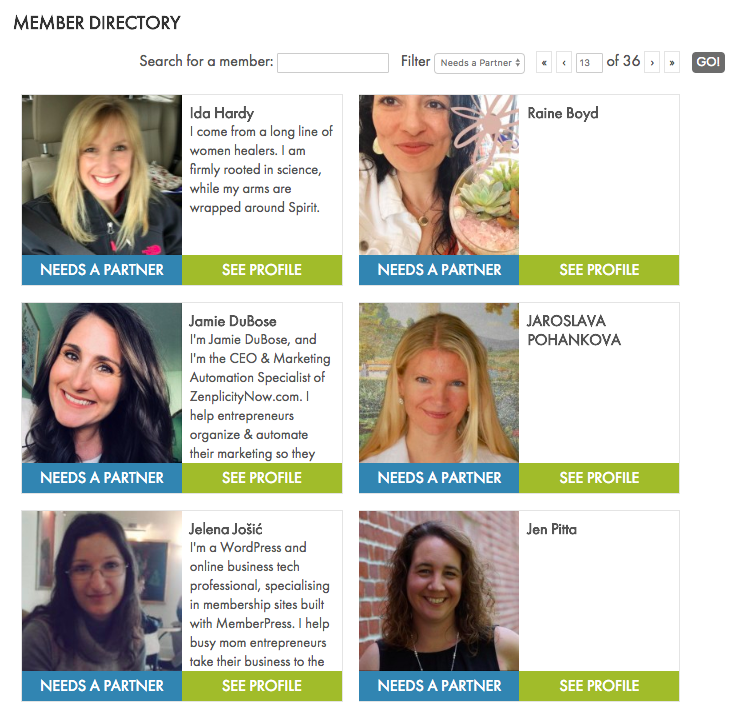 With our member directory, we really wanted people to be able to find accountability partners. I knew that going through course material with someone else – and knowing that partner expects you to follow through – means you’re more likely to make it happen. Accountability is traced back to the “observer effect“. When you know you’re being observed, you alter your behavior to match the expectations. In this case, you do the work assigned in the course. In recent studies involving worker productivity, increased attention from experimenters also resulted in increased performance feedback. This increased feedback might actually lead to an improvement in productivity. But it can be tricky with an evergreen program because you might have some people who are already paired up or done with the course. The biggest results I’ve seen, since implementing a more robust learning management system through AccessAlly, is that I know what works and what doesn’t. I also have visibility into which students need a little extra time or support, and I can reward people for their follow through. Which means they get the benefits they wanted when they signed up for the course! So go ahead, start with one of these gamification best practices and add on from there. Gamification is future and we gonna be there very soon! Nathalie, this post was brilliant. Loved everything about it! Thanks for emphasizing completion rates. Seriously. So many people want to create online courses – which is great – but they don’t see the entire process end-to-end. They think course creation + funneling students + sales are the only goals. I’ve taken courses where the course creator felt “hands-off” or kind of MIA…and this really did affect my engagement, looking back. The responsibility of online course creators is to make sure people get high value out of the course through engagement & completion. And this is one of the best ways, interestingly, to market your course: through genuine word-of-mouth because people completed the course & loved the results they got. I guess that’s the danger to evergreen funnels. It’s crazy how your refund rates climbed after you made your course evergreen! Also love the point you made about the “Login Optin Strategy” — I’ve noticed this, too!! I’ve bought several courses before on Teachable, and viewing the school’s array of courses on the Teachable dashboard tempted me to buy. Thanks again for the in-depth post. Can’t wait to implement some of these gamification hacks. So glad this post resonated for you Alex – and yes, the business of online courses does focus on sales… but the other side of the coin is client experience. And like you mentioned, when you create a good experience – people will recommend your course and it might even save you from having to spend a ton on ads. 🙂 It’s a virtuous cycle! How amazing your 7 gamification hacks. I appropriate your planning. Glad you enjoyed these Sophie, let me know how you get on with implementing a few of these! Brilliant post Nathalie, thanks for sharing all your knowledge on courses. I have booked marked this for reference. Planning to create a few courses and Gamification sounds like the key to keep students engaged and complete the course. If they complete the course they are also likely to come back for more from you as they would be getting results. Absolutely Jane! I’m excited to see which of these gamification tweaks you’ll apply for your upcoming courses!